Nothing says Los Angeles Bar or Bat Mitzvah like a party at the iconic Fonda Theatre, and this photo captures all the laid-back fun of the outdoor cocktail area. What better way to celebrate a fun, hip Bar or Bat Mitzvah than a reception at a famous concert venue located in the heart of Hollywood? 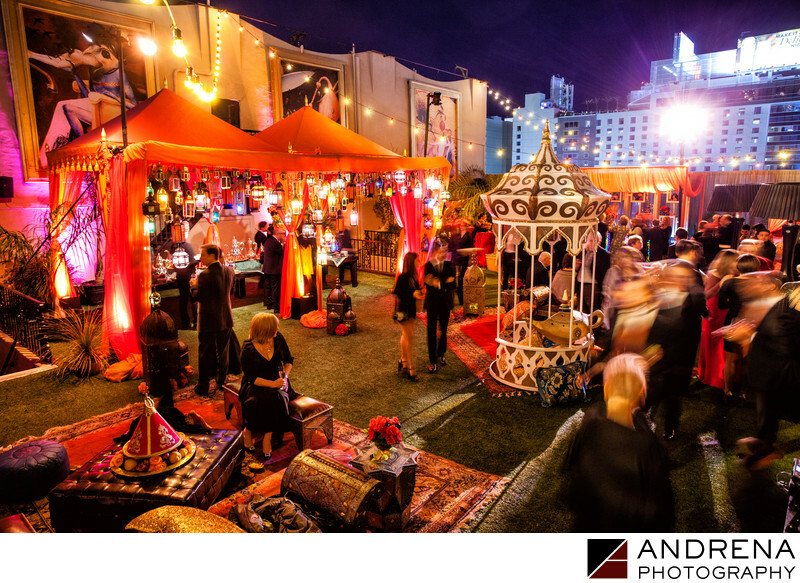 Adding to the classic LA vibe was the Moroccan themed decor that could have been pulled from a luxurious movie set. Orange, red, purple and gold tones lit up by whimsical lanterns of various shapes and sizes created a rich and warm oasis amidst an urban backdrop. Flowers were by Tic-Tock Florals with coordination by Bob Gail Events. Location: 6126 Hollywood Boulevard, Los Angeles, CA.